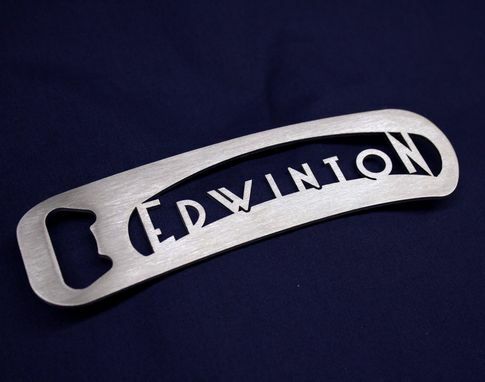 Bottle openers laser cut from a single piece of 304 grade stainless steel. Each one is sanded and hand buffed to a smooth finish. Any design or shape can be made. They work great! Trust me....I've used them....many times. 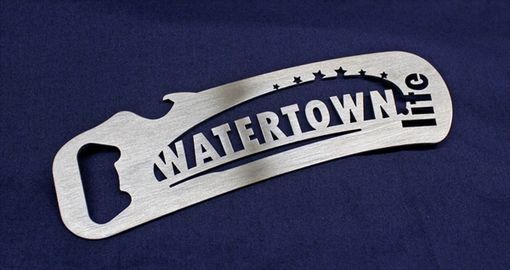 Dimensions: Any size between 3 and 8 inches works best, but can be made any shape or size.